The Toronto Symphony Orchestra embarked on its heroic three-concert epic showcase last night featuring three plummy works of diverse sonic worlds. The TSO derived with some of its best playing of the season and showed their audience why they are easily one of the best orchestras in North America right now. But the big story last night was the sudden replacement of indisposed Louis Langrée with 27-year-old British rising star conductor Kerem Hasan. The newly appointed Chief Conductor of the Tiroler Symphonieorchester Innsbruck has currently been assisting Bernard Haitink with the Chicago Symphony Orchestra, and the Royal Concertgebouw Orchestra. He began rehearsals Monday in preparation for Wednesday night’s concert. But after seeing him last night, it was easy to see how ready he is, not only to take on conducting duties in Innsbruck, but many other places elsewhere. Leading off with Debussy’s Prélude à l’après-midi d’un faune; followed by Szymanowski’s Violin Concerto No. 1, with Toronto favourite soloist Christian Tetzlaff, and winding up the evening with a rousing performance of Beethoven’s Symphony No. 3 “Eroica”, Kerem Hasan’s auspicious Canadian début should assure he is invited back here many times. It was an outstanding evening of music making. It’s hard to imagine a more diverse program for Hasan to conduct and on short notice. The pieces, at first glance, seem to have nothing in common with each other. But on closer inspection, they all bear historical contextual relationship of intense similarity for their respective periods. All of these works utterly changed how we viewed composition and music making. “Eroica” taught composers how to write a Romantic symphony. “Faun” became the acme of modernist orchestral writing and Szymanowski’s Violin Concerto no. 1 was one of the first in the concerto genre to reject Romanticism altogether and forge entirely new sonic paths into the twentieth century. With these perspectives in mind, that’s how Kerem Hasan conducted all three works. There was no holding back or tentative reserve. And the orchestra sounded magnificent throughout. Top accolades for the night go to the winds and horn section. Their tone was flawless, and their expressive playing changed with supple ease throughout each piece, depending on the phrasing and conducting direction they received. But in the Beethoven, they became the all-stars of the show, playing admirably well whether in solo or ensemble passages. Szymanowski’s Violin Concerto No. 1, Op. 35, easily one of the first modernist violin concertos (1916), is striking for its rejection of traditional key relationships, if not outright turfing tonality itself out the window. It is a lovely work containing some remarkably, ethereal otherworldliness mostly in the solo violin line, including some treacherous fingerboard virtuosity, rapid passagework, and intense, long-breathed phrasing. And violinist Christian Tetzlaff utterly dominated this work. He phrased with his body, letting his bow do the talking, and convinced me that the longest phrases ever written for the violin commanding a level tone and tuning weren’t an interpretive thing of the past. His playing was mastery unsurpassed. Tetzlaff, really, hardly broke a sweat with it, but extracted everything out of the score that he could exude with every harmonic potential. 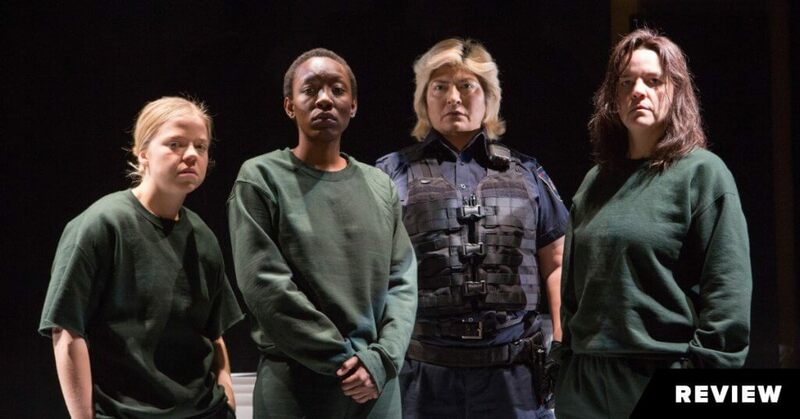 It was a breathtaking performance. And Kerem Hasan’s conducting throughout was instinctively good at reading the contrapuntal texture of each coloured line, fitting it acoustically well and making the orchestra sound like it had a more substantive role to play beyond the music of its elaborately textured timbres. Hassan took a largely experimentalist score that featured a harmonically cluttered, expanded-tonal mid-range, and brought some order to its riotous colours. The concerto paired sonically well with Debussy’s Prélude à l’après-midi d’un faune which opened the concert. Kerem Hasan conducted every pastel colour the score had to offer, leaving little in doubt about the Modernist dreamworld of this symbolist, decadent, orchestral milk bath. It isn’t often that we get to hear a touch of Stokowski in bringing out each colour so fortuitously, or, as the venerable master did it, extracting each orchestral sound painstakingly as though he were pulling out organ stops. He conducted the winds with aplomb, and they responded keenly with warmth and the most careful phrasing I have heard in live performance of this work in a long time. Hasan did it all in ten minutes flat, the typical time it takes to perform the work, but it could have been slower to emphasize its Arcadian eros. But, Kerem Hasan can do whatever he wants, and orchestras will very likely follow him willingly. We can look forward to him taking some remarkable interpretive risks in his bright career ahead. And speaking of which, by the time he arrived at Beethoven’s epic pathbreaking Symphony No. 3 “Eroica”, I was ready for anything. 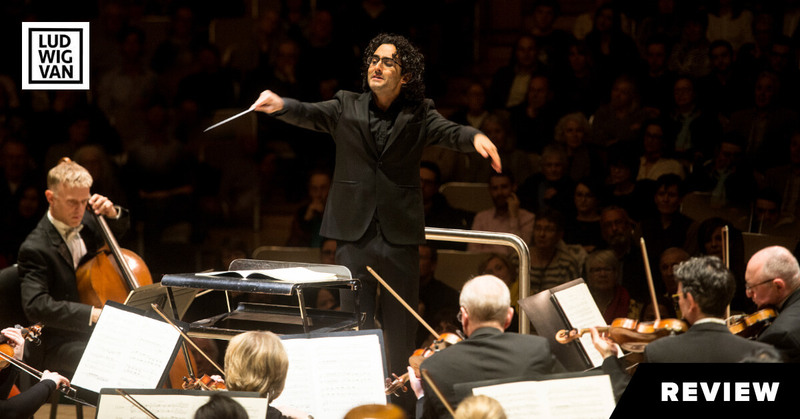 The performance, Hasan’s emotional and intellectual approach to the score, including the physicality of his conducting, showed a musician and a thinker beyond his years. “Eroica” practically burned the house down. Taking Beethoven’s metronome tempi at their literal optimal speeds, but gracing them with elastic flexibility at every expected point, Hasan was on target with the latest scholarship on this piece whether in orchestration, individual timbre, and especially dynamics, which ranged appropriately from subtle to pungent. It was like listening to a period-practice performance of Beethoven but with all the stuffy libraryness removed and a fresh new epic revealed in its place. 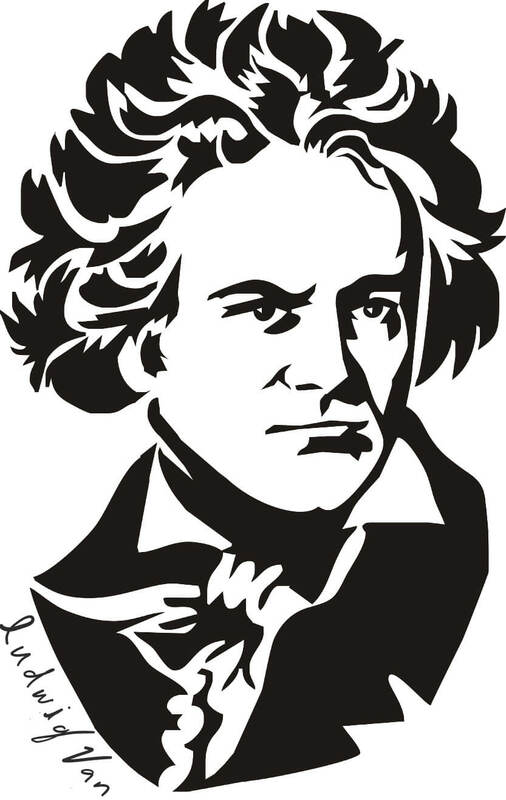 The first movement took the 3/4 time signature exactly the way we now believe Beethoven intended. It was, at that time, the fastest orchestral piece that had ever been written (finished in 1804) and publicly performed (1805). Appropriately, much of the movement wasn’t conducted in 3, it was conducted in 1, at times with Hasan’s hands scarcely moving (very much like the great Austrian conductor Michael Gielen). His cues were perfect, on target, supportive when needed, and never autocratic or overbearing. That’s how you do it. That’s how you get such splendid sound from an orchestra, and the TSO was unflagging in its delivery of top-quality blended sound. The TSO phrased hell out of the score, were strident, balanced, dare I say it…heroic, and captured the essential historical and even contemporary sense of this being a revolutionary work. They left nothing out and nothing to chance. When we arrived at the second movement funeral March, Hasan brought the strings to full power with the emotional seesaw ride of a turbulent theme and variations. Everyone had their chance to shine, and each orchestral section made the most of their moments in the sun. The last two movements were gripping to hear, almost as one continuous movement: the breathtaking tempi, the stunning accuracy, even a reduced string quartet (finally we got to hear this interpretive idea, live in concert), and bristling double fugue to end, and all the interjected pathos and nostalgia of a hero’s life in solo oboe, horn ensemble, and some of the richest string playing on offer this season by the TSO. This was not your grandfather’s Eroica. It was an Eroica for our times, a time desperately in need of true heroes. 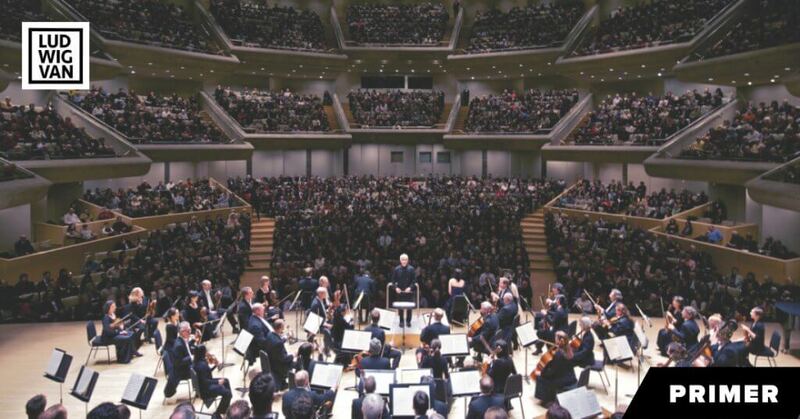 The TSO returns with two more concerts featuring the same program Friday, April 12 @7:30 p.m. and Saturday, April 13 @8:00 p.m. at Roy Thomson Hall.